Two words: NECK BELT. After last season’s presence of metallic chokers and collars I thought for sure there would be a lot of form fitting neckwear but this takes the cake. 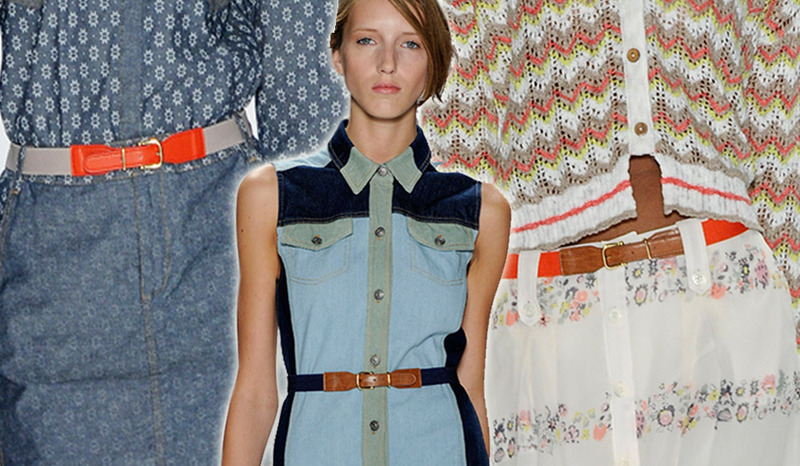 Although there has been virtually no jewelery coming down the NYFW runway I think this makes such a bold statement and I love it for SS12… I can imagine it in floral prints or spectator stripes as well. 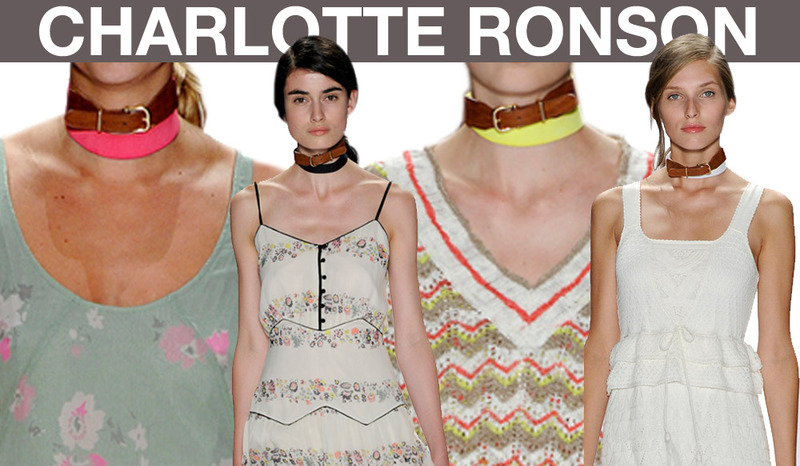 Much like the vibe of Altuzarra, Charlotte Ronson had a very Utilitarian Femininity about it. The strappy sandals with the sheer knee-high socks underneath is a refreshing update to the clunky silhouettes of last year. We again see another metallic shoe in Ronson’s collection proving it to be a key player in NYFW.